The Happy Jack Yoga Studios Mastermind is an intimate peer group of yoga business entrepreneurs worldwide. The intention of this exclusive community is to empower yoga studio owners and community leaders to create thriving businesses so that we can contribute back to society in a powerful way. 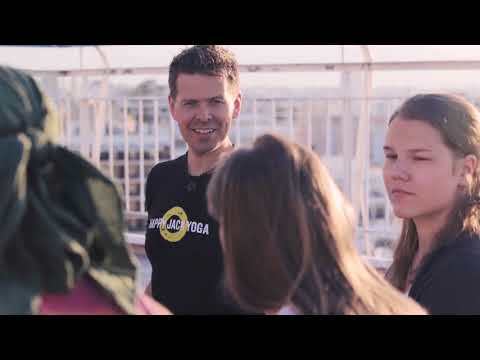 The quality of your life is directly proportionate to the expectations of your peer group, and this is the ultimate peer group of yoga entrepreneurs! This elite Mastermind of international yogis, provides the unique opportunity to network with and learn from multi-million dollar yoga studio owners, Happy Jack & leading industry experts in this field. Invitation to bi-weekly video calls where Happy Jack and international leaders will empower you with strategic content and coaching to take your business to the next level. Referral Opportunity: Refer a student from within your community to a HJY program, and HJY will purchase a complimentary one month unlimited membership for the student at your studio. Studio Spotlight opportunities on the HJY social media platforms to support your brand awareness and global exposure. Link to your business through the HJY website so that local students can discover you. Guest visits to your studio/community from Happy Jack and other HJY team members to teach classes and generate excitement within your community. Exponential growth in your yoga business through proximity to industry experts, Happy Jack and highly successful studio owners. An elite network of yoga studio owners to bounce ideas off and creatively solve challenges, removing uncertainty and overwhelm that can accompany entrepreneurship. An effective business map, distinct from a business plan, to throughly prepare you for any economic environment. Strategic innovation principles applied to key areas within your yoga business. Implementation of world-class marketing and strategies to communicate with your community and target market. The adoption of sales mastery systems to continuously grow your business and your impact. Constantly optimize and maximize key areas within your business. Create raving fans and a raving fans culture such that students and team members are thriving. Teaching yoga is an extremely noble calling, and creating a community which contributes to changing lives requires commitment and true dedication for your passion. Over the past decade, I’ve had the opportunity to travel to more than 30 countries and taught yoga programs literally around the globe. I’ve also been exposed to the highest levels of training, personal development and professional development. From Billionaires to World Champions, the network of friends and peers I have created is extraordinary. My commitment is to expose elite, highly-successful business leaders and yoga entrepreneurs to members of this Studio Affiliates Mastermind. Participating in this Studios Mastermind will provide you with the strategies and peer group to elevate all areas of your business. Rooted in the wisdom of the 7 Forces of Business Mastery, consider this program to be full of transformation and breakthroughs for your business, similar to your Yoga Teacher Training experience for you personally. We are honoured to share this opportunity with you. Your time is now. To apply, click the button below!